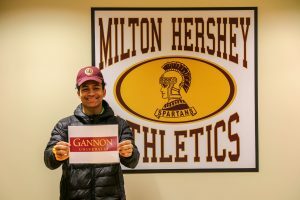 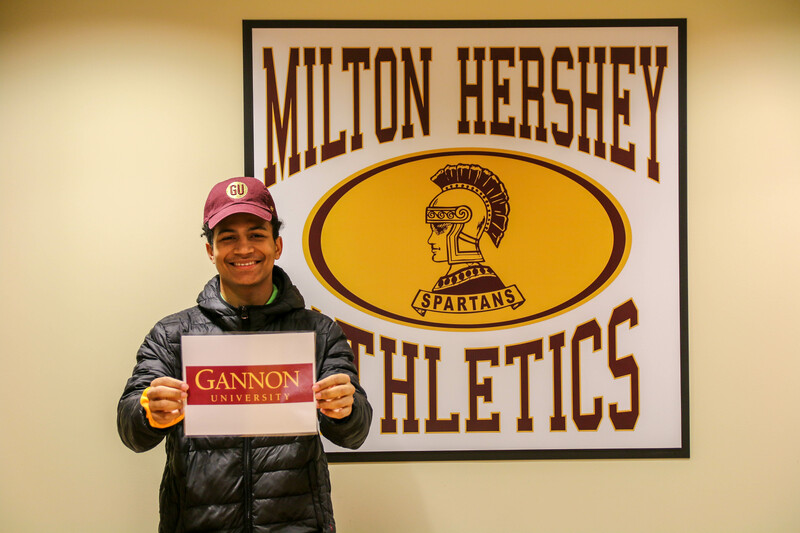 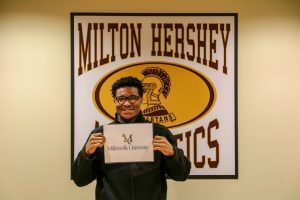 Eight Milton Hershey School seniors recently participated in National Signing Day—a nationwide movement where high school athletes sign their letters of intent to play football at the collegiate level. 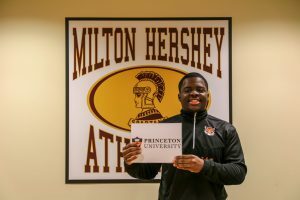 Chiago Anyanwu – He signed a letter of intent to play football at Princeton University. 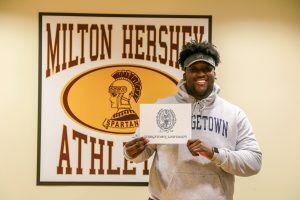 Stanford Maison – He signed a letter of intent to play football at Georgetown University. 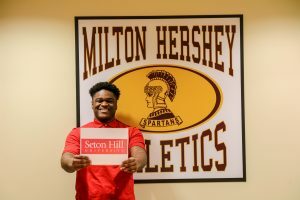 Josiah Gibbs – He signed a letter of intent to play football at Seton Hill University. Naeem Cross – He signed a letter of intent to play football at Kutztown University. 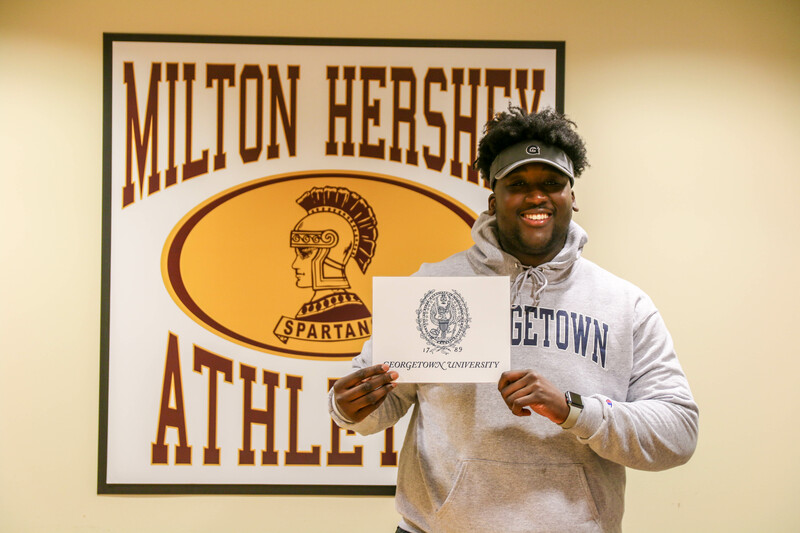 Chris Farnsworth – He signed a letter of intent to play football at Gannon University. 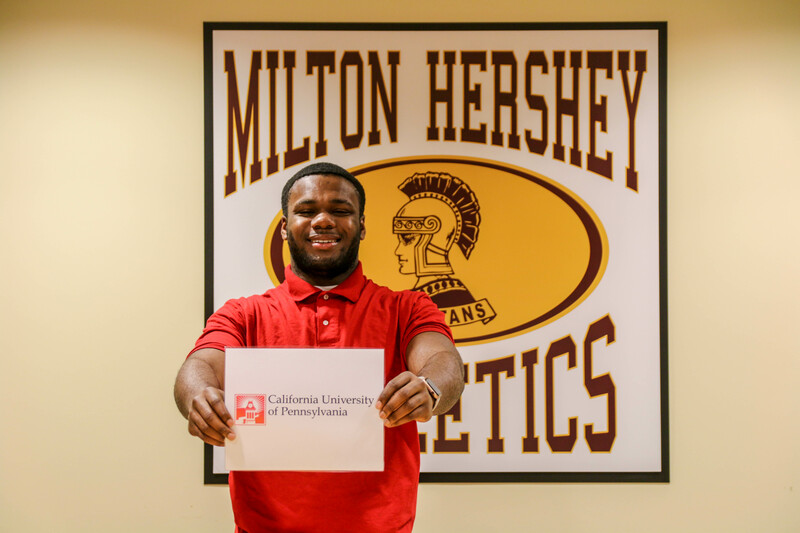 Levi Wheagar – He signed a letter of intent to play football at California University of Pennsylvania. Jaidyn Parris – He signed a letter of intent to play football at California University of Pennsylvania. 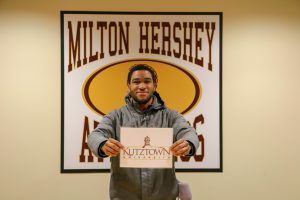 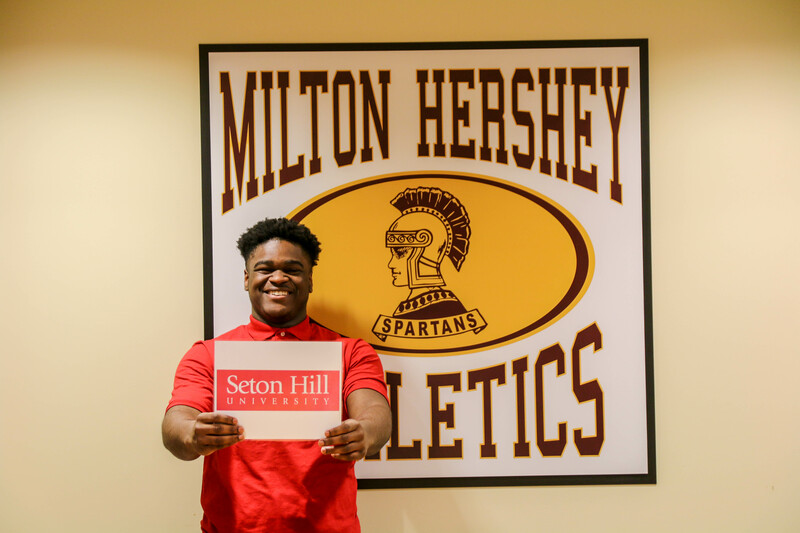 TyKeer Gibson – He hopes to play football at Millersville University and plans to officially sign his letter of intent this spring. 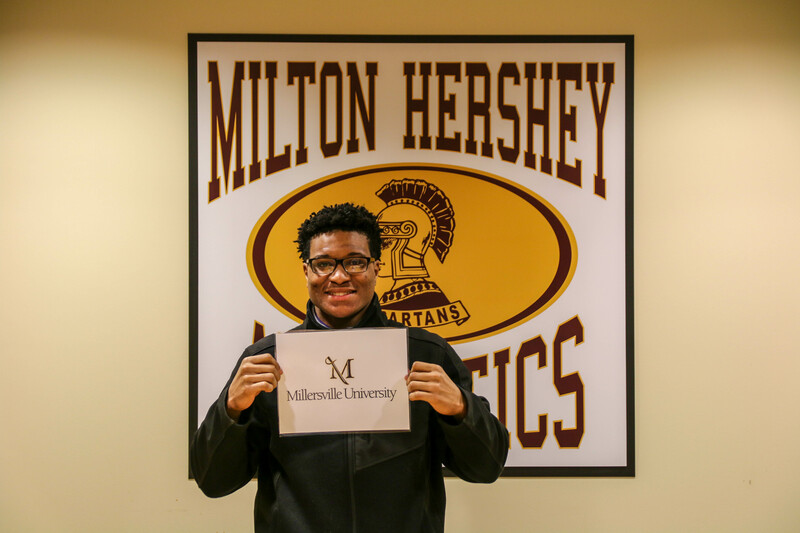 Milton Hershey School students learn how to manage their time and balance academics with athletics. They learn how to excel in the classroom and become competitive athletes who value sportsmanship and display mutual respect. 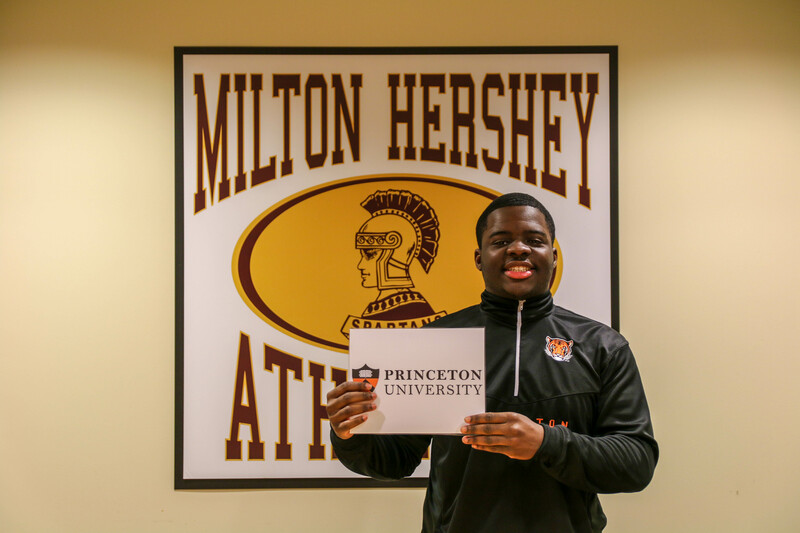 “A lot of the guys on this team excelled in the classroom. 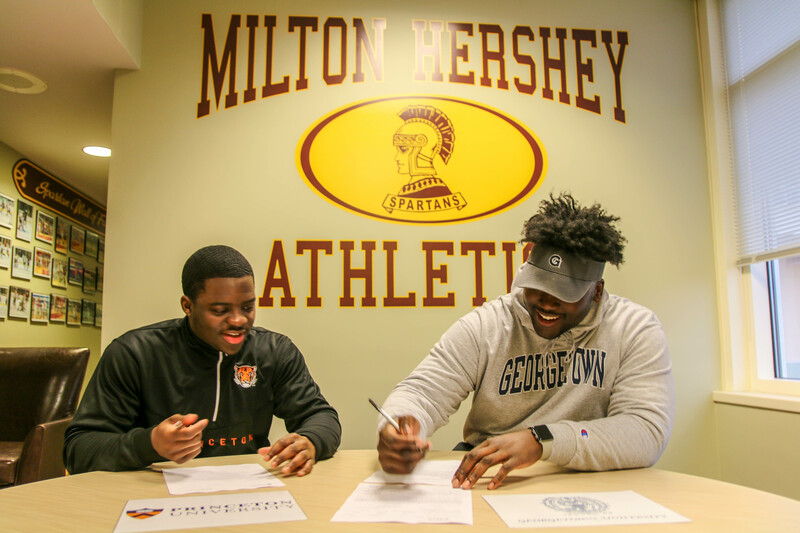 Combined with the lessons they learned on the football field, I think it will help them tremendously at the next level,” Boger added. 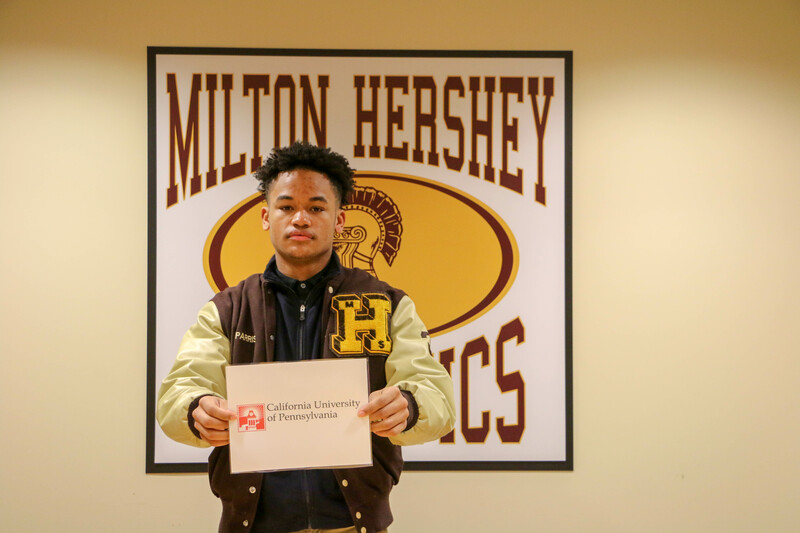 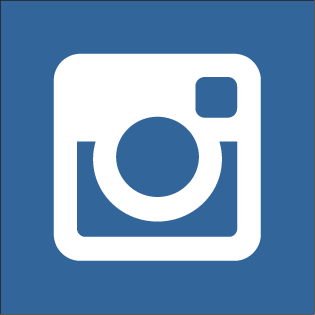 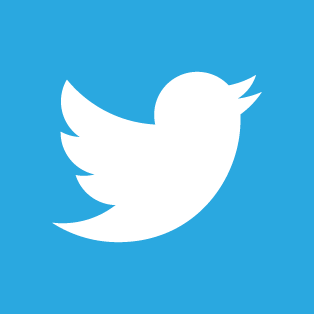 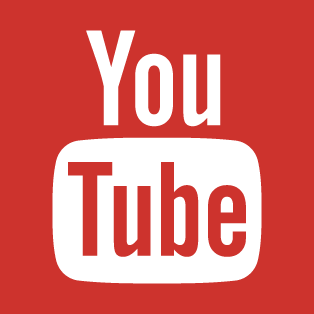 Learn more about athletics at MHS.